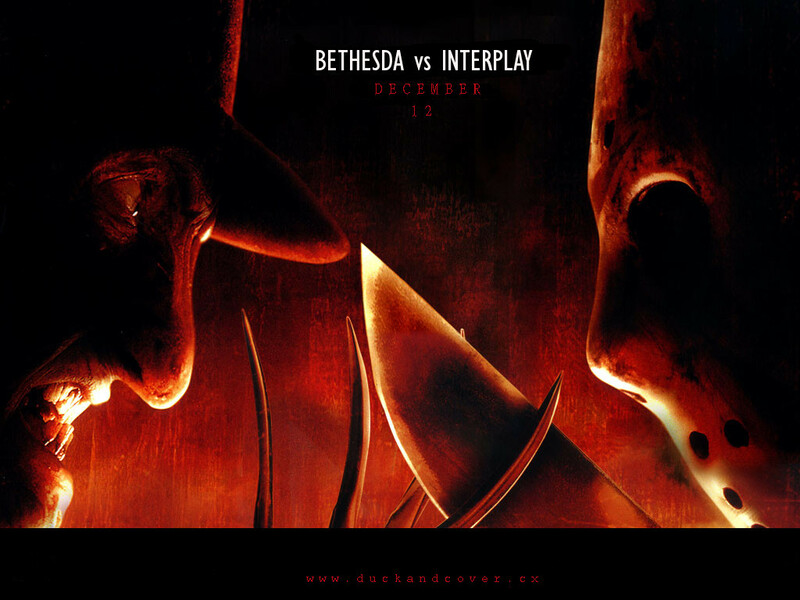 Interplay has filed a reply to support its Motion in Limine in the ongoing Bethesda vs. Interplay Fallout: Online lawsuit. The bulk of this reply focuses on Interplay's desire to exclude Bethesda's expert witness Thomas Bidaux from testifying at the trial. Interplay's attorney believes that Bidaux's testimony will be useless and irrelevant and, as such, should be barred from trial. Contrary to BSW's assertions, its expert's report does not disclose or even reference any opinions related to any activity undertaken by Interplay in its development of the Fallout massively multi- layer game ("MMOG") or that any terms of Section 2.3 of the Trademark License Agreement ("TLA") are technical terms or have any customary usage within the video game industry that require expert testimony. It is without question that BSW's expert disclosure failed to disclose all of the opinions it seeks to introduce at trial. When compared to the list of opinions BSW proffers in the Joint Pretrial Report, Mr. Bidaux's report contains nothing that is remotely equivalent to an opinion of the status, quality, or scope oflnterplay's work on the MMOG. He also does not identify any opinions related to Interplay's financing arrangements, which BSW through its opposition now seems to argue also will be a subject of Mr. Bidaux's testimony. The omission of these opinions from Mr. Bidaux's report is proper grounds for their exclusion. Ibid. And the failure to exclude him would be prejudicial to Interplay. Even if the Court overlooks BSW's failure to disclose all ofhis opinions, which it should not do, Mr. Bidaux's report also fails to state any factual basis for any opinions related to the development of the Fallout MMOG. This is a second failure by BSW to comply with its Rule 26 obligations. Mr. Bidaux's report does not identify any facts or data that would support his opinions on the "ultimate issue" of contract performance that BSW first listed in the Joint Pretrial Report. Nor does his report identify any of the incomplete factual assertions BSW attempts to argue in its opposition. The report only briefly sets forth Mr. Bidaux's purported background and experience, but does not identify any material that he reviewed and considered related to development of the Fallout MMOG, as was required by Rule. Mr. Bidaux's report does not indicate that he reviewed any of the thousands of pages of design, development, production, and financing documents Interplay produced in discovery, nor any of the deposition or hearing testimony previously given in this case. The only place Mr. Bidaux's report mentions Interplay is in the caption of the pleading. Additionally, one of the main purposes of Rule 26(a)(2) is to allow a party to determine whether an expert deposition is necessary. The Court is aware of the controversy concerning the deposition scheduling for BSW's witnesses. BSW's refused to provide dates for the depositions of its corporate witnesses and its refused to even consider Interplay's proposal for a telephonic deposition of Mr. Bidaux. This put Interplay in the difficult position ofhaving to decide whether to incur the significant expense to travel to Maryland for a deposition that would likely last less than a half-day (in fact 3 hours was Interplay's estimate) and to file additional motions to compel. As set forth in its original motion, Interplay believes BSW's refusal to cooperate justifies a complete exclusion of all of Mr. Bidaux's testimony at trial because Interplay was not permitted to take his deposition. At a minimum, however, Mr. Bidaux should be precluded from testifying beyond the specific statements made in his expert report because Interplay had no notice of those opinions prior to BSW's untimely disclosure in the Joint Pretrial Report. Today, December 5th, is the day that the court will decide on the various Motions in Limine, replies, and various other pre-trial motions. Stay tuned to Duck and Cover for the latest developments.